Objective -To represent the Decimal numbers on the number line. 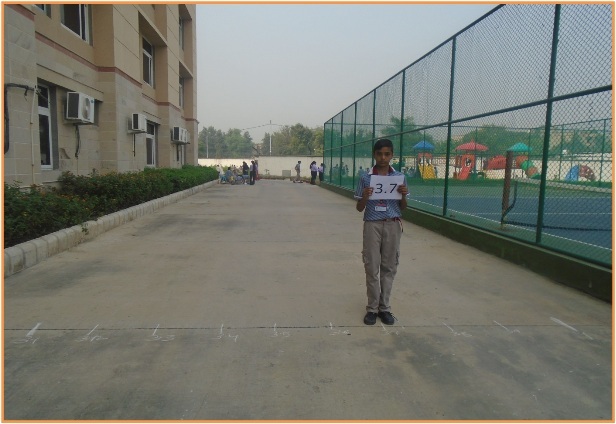 To set up this activity every student of class VI picked one card of decimals numbers. 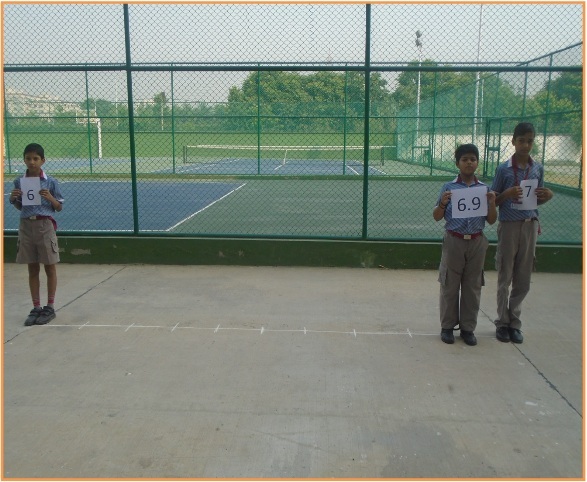 They drew a number line on floor and marked 0 , 1 ,2 ,3 ,4 …….at equal distance. Then they divided the space between every pair of consecutive integers (on number line)in ten equal parts. One student picked a card of 6.9 to represent 6.9 on number line. He knew that this number lies between 6 and 7 so he walked on number line and stop on 9th part from the right side of 6. As shown below. Another student picked a card of 2.2 to represent 2.2 on number line. 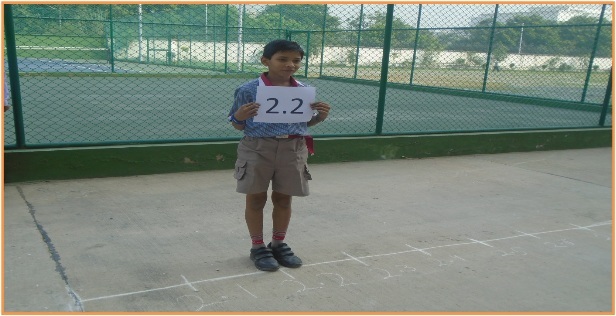 He knew that this number lies between 2 and 3 so he walked on number line and stop on 2nd part from the right side of 2. As shown below. Another student picked a card of 3.7 to represent 3.7 on number line. He knew that this number lies between 3 and 4 so he walked on number line and stop on 7th part from the right side of 3. As shown below.